Posted on August 4th, by Dr Rob Yeung . Take solace in the fact that you are not the only person who feels less than entirely confident. In fact, most of the people around you are almost certainly less confident than they appear. When you need to make a confident impression in a meeting or when giving a presentation, don’t try to calm down. Research suggests that telling yourself that you’re in an exciting situation will actually help you to come across better. Get feedback from people you trust on how to speak more confidently. The tricks that help most people may not apply specifically to you. Whether you are speaking to just a few people or a large group, put yourself into their shoes. What would help them to find your words or presentation useful and interesting? When preparing what you want to say, think about your topic from their perspective and you should make a better impact. 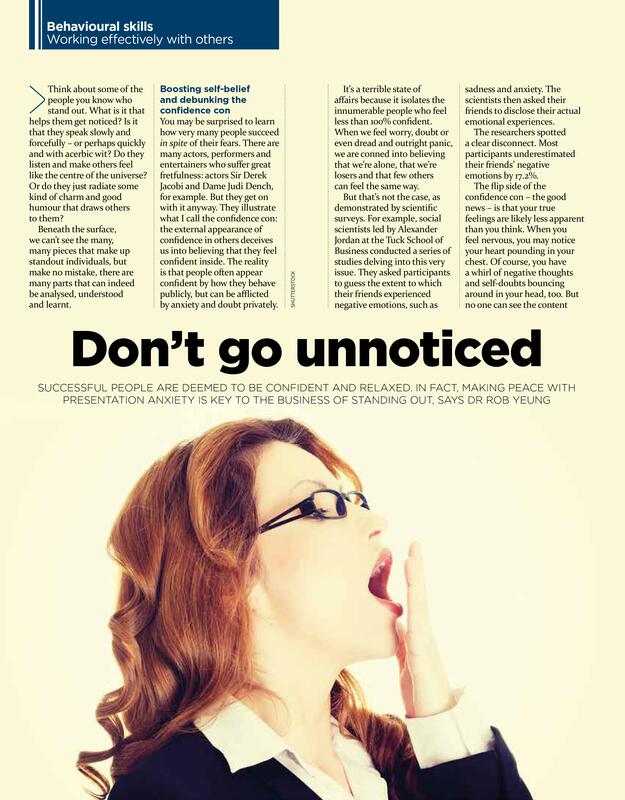 Incidentally, the advice comes from from my How To Stand Out book. 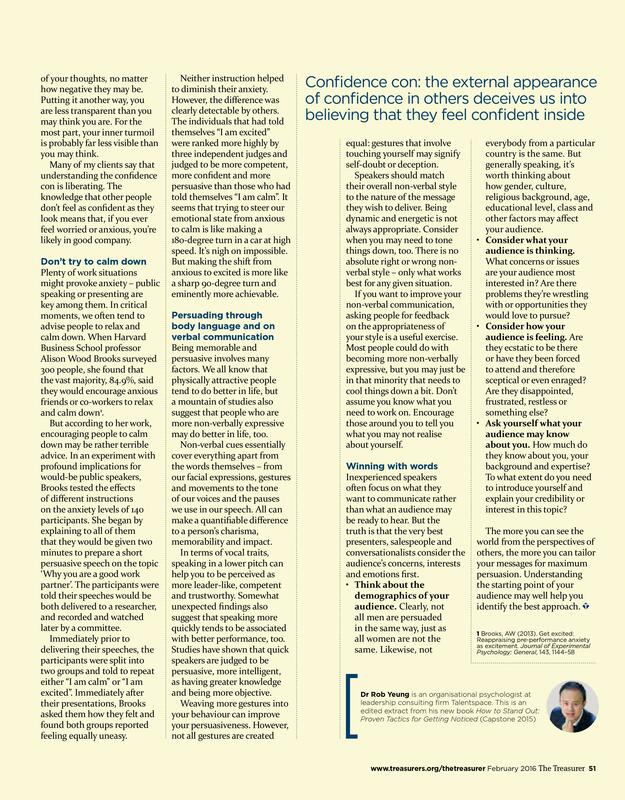 And don’t forget that there is a lot more advice on the topic of confidence on this website, so do have a look around here too.